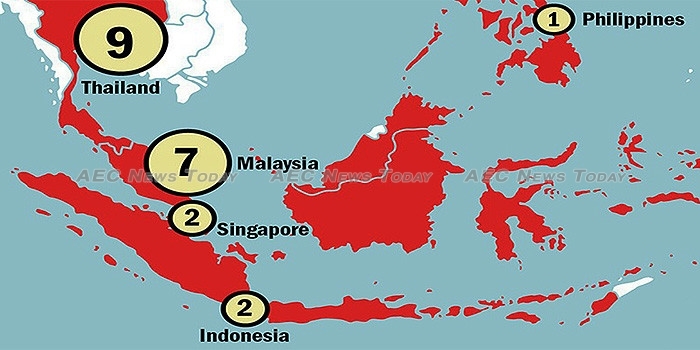 Five Asean countries are represented in the first edition of the Times Higher Education (THE) Asia-Pacific University Rankings, with Singapore taking the first (and fifth) spot for the entire Asia-Pacific region. 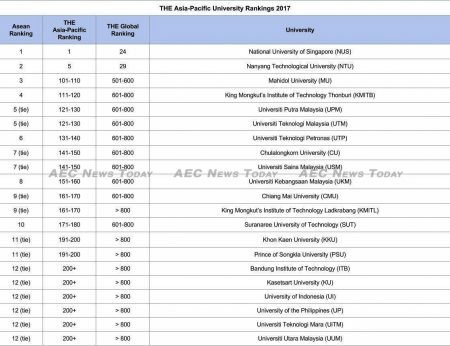 Asean’s third highest ranked university is Thailand’s Mahidol University (MU), while Malaysia is making its presence felt with seven universities listed in the top 800. Singapore remains the undisputed paragon of educational excellence not only in Asean, but the entire Asia-Pacific region. The National University of Singapore (NUS) topped the THE Asia-Pacific University Rankings, an especially sweet victory after being ‘dethroned‘ by the younger Nanyang Technological University (NTU) in the recent QS World University Rankings. As to be expected NTU also scored excellently. At fifth in the Asia-Pacific region it remans the unchallenged second highest ranked (depending on whose list) university in the Asean Community. Filling the slot of the Asean Community’s third highest ranked university is MU, though at an Asia-Pacific region ranking of 101-110 it posses no threat to NTU. Khon Kaen University (KKU), and Prince of Songkla University (PSU) (both 191-200). The only Thai university to rank below 200 was Kasetsart University (KU), which is lumped into a very general ranking of between 200 and 800. Nipping at Thailand’s heels though is Malaysia with seven universities included in the inaugural THE Asia-Pacific University Rankings. The two highest-ranking universities in the Malaysia are Universiti Putra Malaysia (UPM) and Universiti Teknologi Malaysia (UTM), which both came in at 121-130, placing them closer to Asean’s third highest ranked university, MU, than MU is to NTU, the Asia-Pacific regions number two. Affirming Malaysia’s status as a nascent higher-education hub in Southeast Asia, three other Malaysian universities ranked in the upper-middle range of the top 200. With 69 universities listed Japan had the most entries in the maiden edition of the THE Asia-Pacific University Rankings, followed by China with 52, Australia with 35, Taiwan with 26, and South Korea with 25. With just one university each Macau and the Philippines had the fewest, however that is where the similarities end with the University of Macau ranking a loft 61 in the Asia-Pacific region, versus its Asean counterpart, the University of the Philippines (UP) which was placed in the 200-800 ranking wilderness. Also lost in the no-man’s land of 200-800 rankings is Indonesia’s two entries, Bandung Institute of Technology (ITB), and the University of Indonesia (UI). The THE Asia-Pacific University Rankings examined higher education institutes in 38 countries, 13 of which were represented in the final rankings. Universities were assessed according to five metrics: research, citations, teaching, international outlook, and industry income. 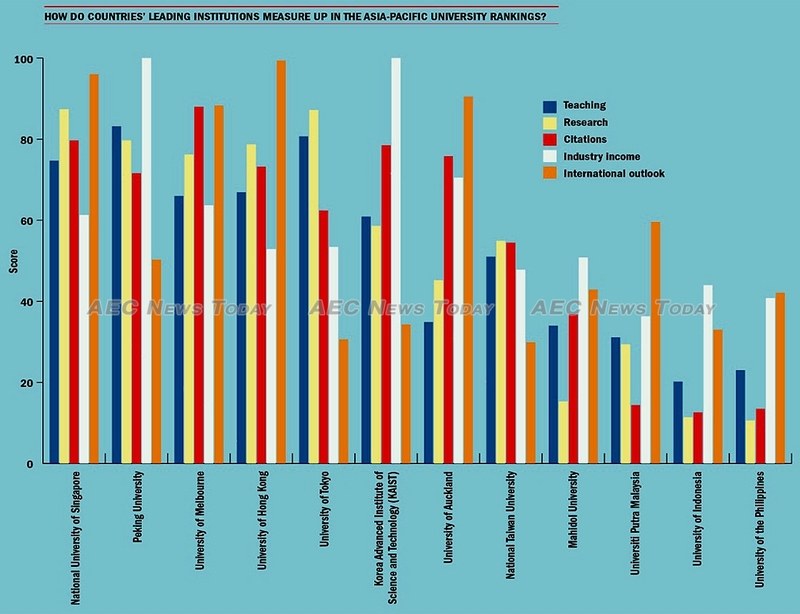 Research and citations carry the most weight with each contributing 30 per cent to a university’s ranking. Teaching is given a weighting of 25 per cent, and international outlook and industry income are weighted at 7.5 per cent each.